I am a huge Kajal/Kohl fan like most women. From the time my schooling got over, I started using kajal. I have experimented with different types of Kajal till now, be it local brands or high-end brands. But all of them were black and I never tried any colored kohl. Some were good, some were bad but Maybelline Colossal Kajal is my favorite till date. Recently I tried Lakme Eyeconic Kajal Black which I felt was good but not as good as Maybelline Colossal. When I saw Lakme Eyeconic Kajal available in different shades at the Lakme counter, I thought it is time to try a colored Kajal. Coincidentally, my Colossal was getting over. 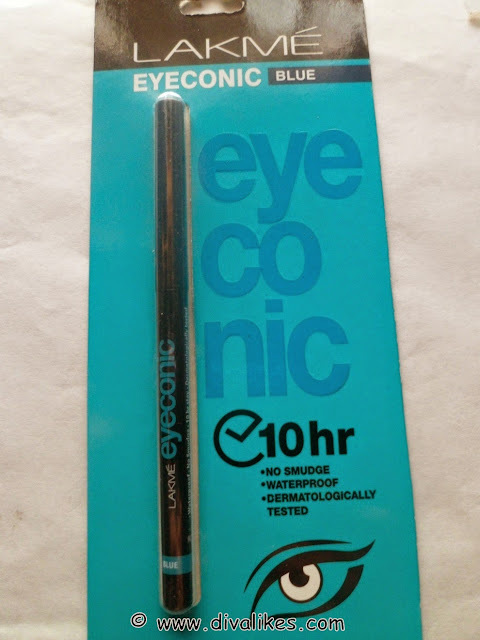 So I bought the Lakme Eyeconic Kajal in blue which I am going to review today. 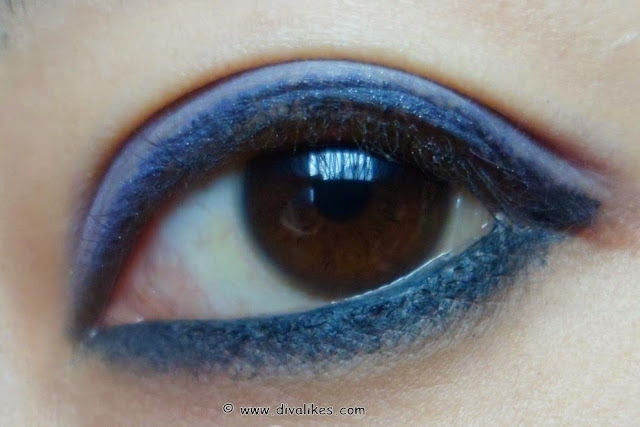 • On the upper lid, draw a neat stroke, starting from the inner corner of the eye and extending outwards. • Repeat on lower lid. 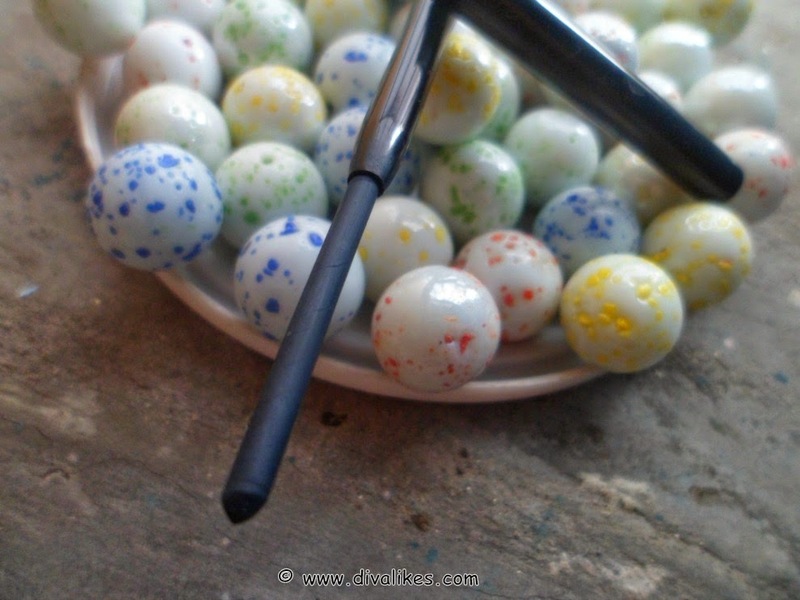 Lakme Eyeconic Kajal comes in a retractable pencil with a cap. The cap shuts tight with a click and hence is travel friendly. The retractable form of the pencil ensures there is less product wastage. I wish the pencils were color coded as it would have been easier to identify the kajal. However it has the color written at the base. 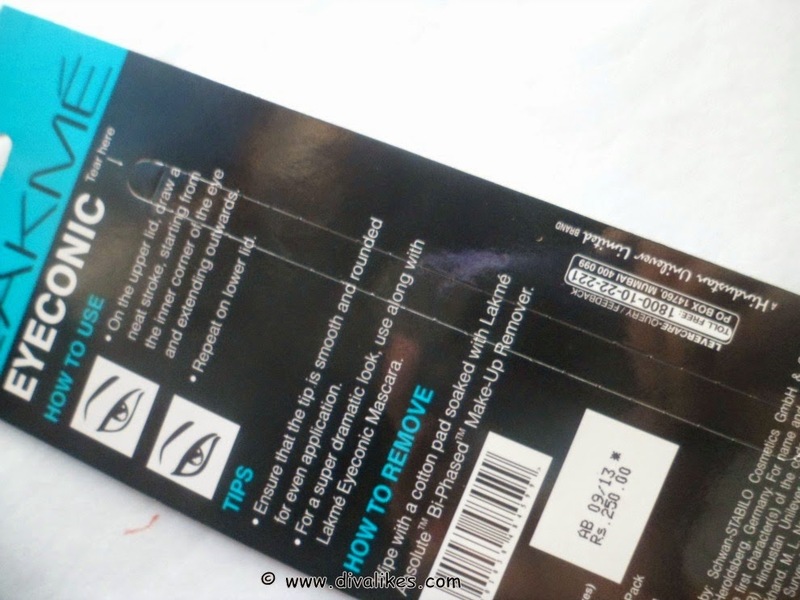 The texture of the kajal is creamy and glides on smoothly without any tug or pull. The pigmentation is quite good as 2-3 swipes can get the dark desired color. 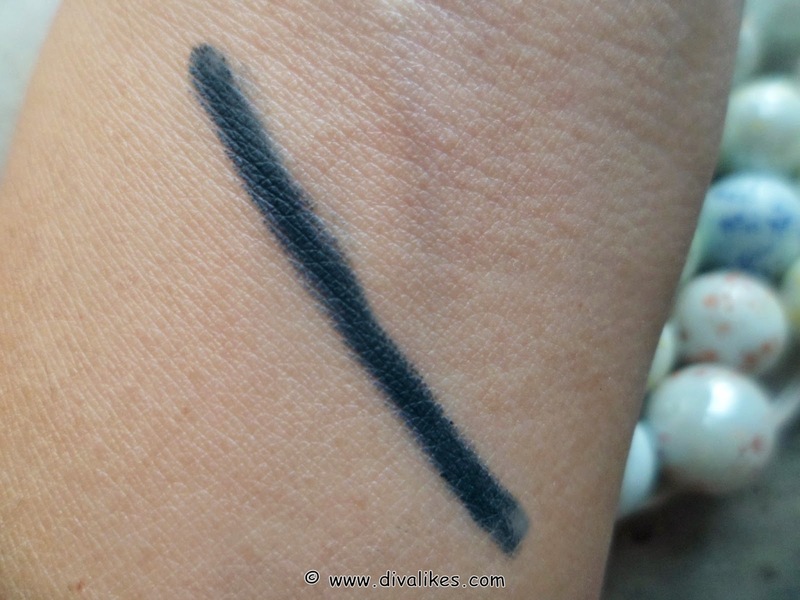 This is not as pigmented as the black kajal though. Coming to the color I expected it to be very vibrant navy blue but to my disappointment it turned out to be dark teal blue kind. It looks like black if you take a look from a distance. Nevertheless, I like the shade for my daily look as I don't want to look over the top. It claims of 10 hr smudge proof but it lasts only for 3-4 hours on my waterline and after that starts fading. Surprisingly I tried rubbing it with some water on my hand and it vanished. I don't understand how the company is claiming it to be 10 hr smudge proof. The black one was definitely much better as long as staying power is concerned. Overall it is a good product for its budget since most of the colored eyeliners are way too overpriced. 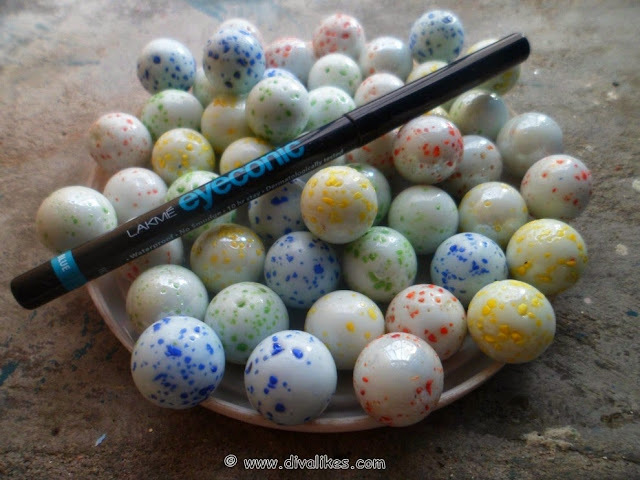 If you love colored Kajal or planning to try one then this is a must buy product as it will not pinch your pocket. The color is perfect for office or day-to-day wear. It's creamy texture is like an icing on the cake. This is such a lovely shade divya...loved it! Perfect fr everyday wear Lavanya..do try it.. I am using Colossal right now...would love to try this! Colossal is my all tym favrt Lavanya..ths one is prfct fr a chnge,,its available in brown,green,grey and whte also..nxt on my wishlist is green..
Lovely shade :) great review Divya!